What are the Differences Between Arc'teryx SL Jackets? What are the Differences Between Arc’teryx SL Jackets? Shopping for outdoor gear can be a headache and if you don’t know what you’re looking at, it can be unsurprisingly complicated and confusing. Technical terms and supposedly helpful acronyms are like a language of their own although with a little backup knowledge, you can really simplify your shopping experience. Take Arc’teryx products for example, specifically the SL category. You see that in this collection, you have either a jacket, some pants or maybe a vest. Some of you may be wondering, “what does the SL stand for” and “is this really important to my overall purchase decision?” The answer is yes. Arc’teryx has a series of categories that use letters such as SL, AR, LT and FL and believe it or not, those letters play an extremely important role in your purchase selection. SL, for example, symbolizes that this particular product is a Super Light product. The focus of the SL collection is an emphasis on lightweight and packability over durability. These products are made of lighter materials and are designed for those adventurers looking for jackets, pants, hoodies, etc. that are lightweight and suitable for their journeys. Within the Arc’teryx SL category, there is an assortment of jackets. Below we compare the differences between the jackets within the category so you can be sure you are purchasing exactly what you are looking for. The Alpha SL jacket is a waterproof and breathable 3-layer GORE-TEX® jacket ideal for climbers and alpine climbers looking for a super light layer to protect themselves from the elements when they need it the most. Boasting a fitted fit, you don’ have to worry about loose sleeves or hems getting in the way of your gear during an ascent. The hood is helmet compatible so you can be sure to get full waterproof coverage in the wettest conditions. Constructed from the lightest weight materials available and utilizes PacLite® product technology, the Alpha SL jacket is an ideal emergency waterproof/ breathable option and is easily a backpack essential. The Alpha SL jacket is not currently available on Altitude Sports but you can purchase the past season’s model for men and women at a discounted rate on Thelasthunt.com. Similar to the Alpha SL, the Beta SL jacket is also a super lightweight and packable weatherproof shell. This particular model though is designed for hikers and backpackers and will have specific features dedicated to these types of activities. Specific features include a low-profile StormHood™ and laminated WaterTight™ zippers on the two hand pockets. If you’re a hiker looking for a reliable jacket to fit as your packable emergency weather protection, the Beta SL is a great choice. Next we have the Beta SL Hybrid Jacket. Simply put, this jacket is a combination of the Beta SL and the Alpha SL. It is equipped with a helmet compatible StormHood™ and high wear areas are reinforced with GORE-TEX® fabric with GORE® C-KNIT™ backer technology. This is a super light jacket that is both waterproof and windproof making it an essential emergency weather protector for any hiker or climber battling undesirable conditions. The Beta SL Hybrid offers multiple additional features that the Beta SL does not which is evident in the pricing. If you are looking for a more technical super light jacket, the Beta SL Hybrid is a perfect choice. Other SL models include the Fission SL jacket which is the lightest, fully waterproof and insulated jacket perfect for cold, wet weather. If you are looking for something super light and weatherproof that will also keep you warm, the Fission SL jacket is exactly what you need when the weather turns. A helmet compatible StormHood™, anatomical shaping and articulated elbows with gusseted underarms makes it ideal for hikers and climbers. 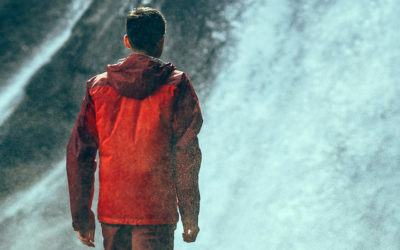 This jacket pairs the Arc’teryx exclusive Thermatek™ insulation with GORE-TEX® weatherproof fabric to create the ultimate emergency, wet weather protection jacket perfect for cooler temperatures. There is 9 thoughts on this article titled “What are the Differences Between Arc’teryx SL Jackets?”. Only got as far as the Alpha SL and Beta SL description because I noticed the material description was incorrect. I’d be happy to assist you if you have any questions regarding Arc gear. SL isn’t a collection. Alphas are in the Ascent collection, betas are in the Arc Essentials collection. SL simply means super light. Depending on the piece you choose that could range from super light insulation for spring summer time or all the way to a packable super light emergency shell. I was looking for a waterproof jacket that would be easy to pack light weight. The jacket would be used not in Alpine but around the world hiking camping exploring. I’m concerned about the lifetime warranty my son had one of your jackets for 4 years used it very few times the jacket fell apart from glue failure. Factory said we don’t honor any warranties on lightweight materials in jackets after he spent $500. Hello Michael, unfortunately whether an item is covered by warranty or not is not up to us, but to the brand itself. Each brand will have their own warranty guidelines so if ever there is a warranty case, we contact the brand and they give us their answer which s passed to the client. Arc’teryx produce some of the most advanced lightweight outerwear and Norrøna is a great option as well. It may be worth looking into Norrøna’s warranty policy and if it fits, you may like a jacket such as the Trollvegen Gore-Tex Light Pro Jacket or even the Falketind Gore-Tex Jacket. I live in the Pacific north west and have had an alpha sl for 8 years that I use year round for coaching, biking to work daily, skiing, hiking and walking in town. It’s still as waterproof as day 1 so I really wouldn’t worry about durability. I guess emergency weather protection means that the weather is bad and you quickly need a jacket. If that’s the only one you own, it’ll be just fine! John…I echo Kelsey’s thanks….as I too, appreciate this. I am somewhat dismayed however, by your remarks….because after countless hours of research and comparisons, I just yesterday purchased a Beta SL Hybrid (part of REI’s sale) for my Spring 2018 AT thru hike. Also, I talked with two previous AT thru-hikers that chose the same jacket as their chosen shell and had nothing but praise for it after using it consistently. Before I pull the tags off and can’t return it, can you provide pertinent reasoning for a $300 jacket being an “emergency use only”? This jacket is light years ahead of others I considered….and knowing something of manufacturing, it seems amazingly detailed and well-assembled. In all honesty though, I haven’t used it….and sounds as if you have? Again, John….I appreciate your insight and I am not questioning your analysis….just looking for a few more facts. Thank you, again. The info on this page is misleading, Alpha SL and Beta SL are specifically for emergency use only and not at all for normal jacket use. They are not durable and even the Fission FL, because they are so light and packable (using Paclite technology) . Look for a FL if you still want it super light but more durable, or LT/AR for the best compromise durability/weight. Please use the Arcteryx website if you want to be well informed. SLs are not durable and should be packed for emergency weather use only. Hello John, thanks for your clarity. The text has been altered to include the fact that these particular jackets should be considered options for emergency weather protection while out and may not necessarily be ideal for your everyday use. Backpackers throughout the world employ 20D and 40D rip fabric like these jackets (and others made by REI, Marmot, Patagonia, etc., etc.) And they don’t use them for “emergency use only”. That’s the fire extinguisher. Hey John, Arc’teryx classifies these jackets as packable emergency storm jackets for alpine or multi-pitch climbing but they can certainly be worn for more than just emergency use if that’s what suits you best. The idea is so that a consumer purchasing the jacket is aware that the durability of the coat is designed for this type of use rather than all day everyday type use. Previous Previous post: Why is Bn3th Underwear so Popular?